Some of you remember our Craft show days! 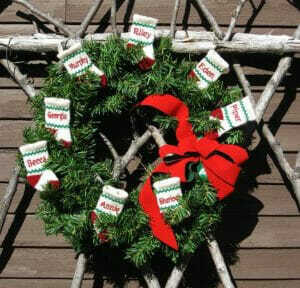 We couldn’t make enough of these ornaments, and we often have requests to offer more. So here you go AND we now have a bigger one, too! 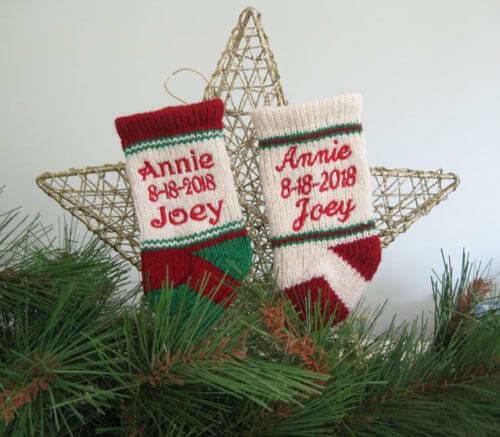 The original 3″ stocking ornament! Perfect for a full collection of family members to hang on the tree, or table settings, teacher gifts, embellishing other gifts (2017 shown at right). Each has a stretchy gold loop for hanging. Natural or Cranberry, embroidered with one line of your text Date or Name, but just a few letters. 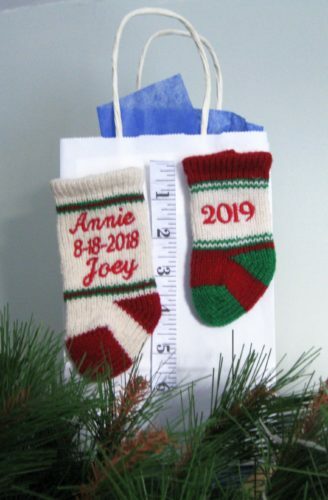 And, to accommodate more text, a new 5″ stocking ornament! 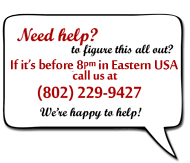 $19.00 for one line only $21.00 for up to 4 lines. Each comes with a stretchy gold loop for hanging. 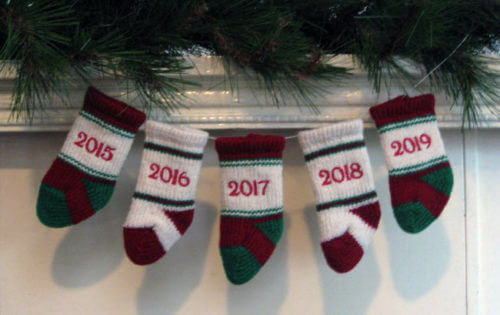 5″ stockings can have up to 4 lines of text (about 7 letters per line) you want the text to be readable on the tree, right?